The Emporia Public Schools is asking the community to help with a new school review initiative that supports local growth and business development. A national website that rates schools, GreatSchools.org, is often used as a starting place by families considering a move for a new job or other reasons. Emporia real estate professionals have learned through experience that some families will base their decision on accepting a job here or living here based on the school rating posted on the GreatSchools website. GreatSchools is a national nonprofit organization that provides information on K-12 schools in the United States. 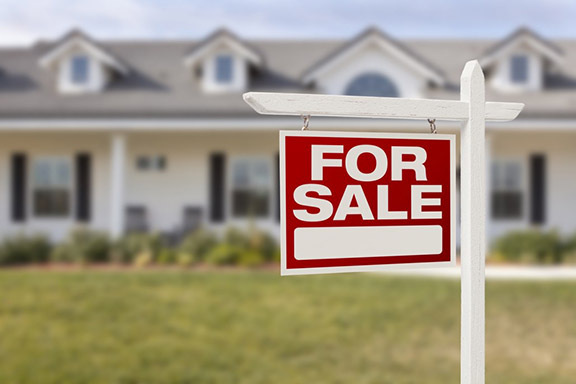 Information from the site is featured on real estate listings hosted on online real estate lists such as Zillow and Trulia. In the state of Kansas, the rating is based solely on state assessment results reported by the Kansas State Department of Education, according to Nancy Horst, community relations director for the district. However, the site also allows schools to develop a profile and parents, students and staff can post reviews of schools. The district is working with Emporia Area Chamber of Commerce and Emporia Main Street business leaders to encourage Emporians to take advantage of the review section. “We are asking parents to share their #EmporiaProud stories through the website to provide a more balanced view of our schools beyond a single test score,” Horst said. Kristi Mohn, Emporia Main Street board member and co-owner of Coldwell Banker Emporia Real Estate, contacted the district during the Superintendent’s Listening Tours last fall in hopes of starting a campaign to further develop the school reviews and profiles on the GreatSchools site. Pete Euler, State Farm insurance agent and chairman of the Emporia Chamber board of directors, and Jeff Williams, chair-elect for 2018, both agree that the GreatSchools site can be misleading if users rely solely on the rating number. Both are business owners whose own children have graduated from Emporia schools. Williams, Realtor and broker owner of Ek Real Estate, attended a Chamber Dialogue with the Board of Education in October to discuss this issue. “I have experienced firsthand the effects this is having on our area employers in recruiting people to work and live here,” he said. 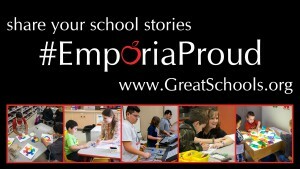 Anyone interested in adding a review for an Emporia school can visit www.GreatSchools.org, and search for Emporia, Kansas. For more information about the campaign, contact the Community Relations Office, 620-341-2200, or community.relations@usd253.net.